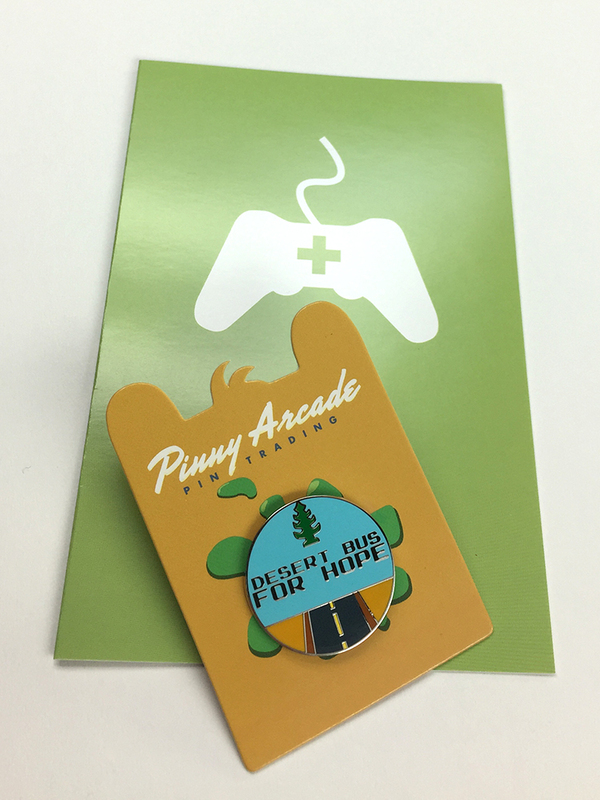 Introducing the most air freshener-filled, road-centric, desert-focussed Pinny Arcade pin ever! 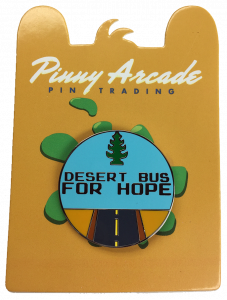 This rare pin is an official part of the Pinny Arcade collection, commemorating an entire decade of driving tiredly through virtual desert landscapes in the service of aiding sick children. These pins went unbelievably fast! We can’t thank you enough for all of your purchases that went right to Child’s Play Charity. 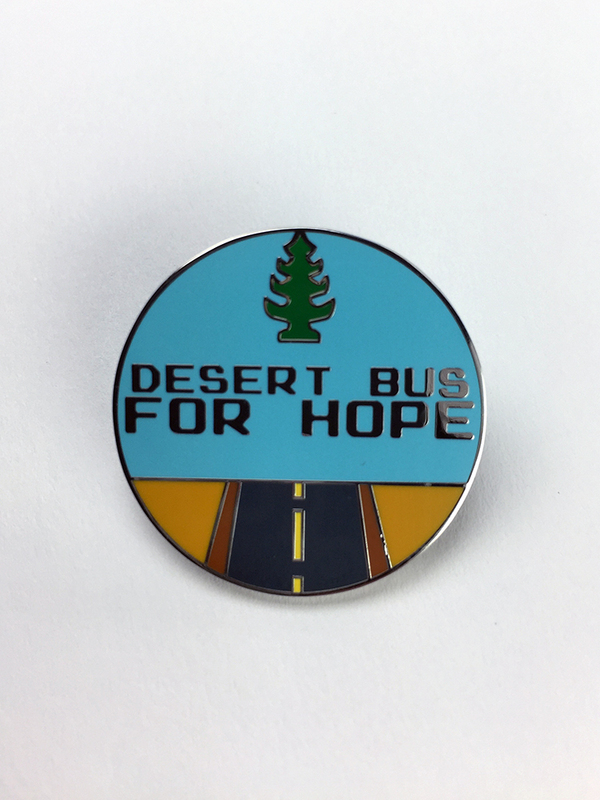 A pin will also be included in each and every Desert Bus 10 prize, whether silent auction, live auction, or giveaway. 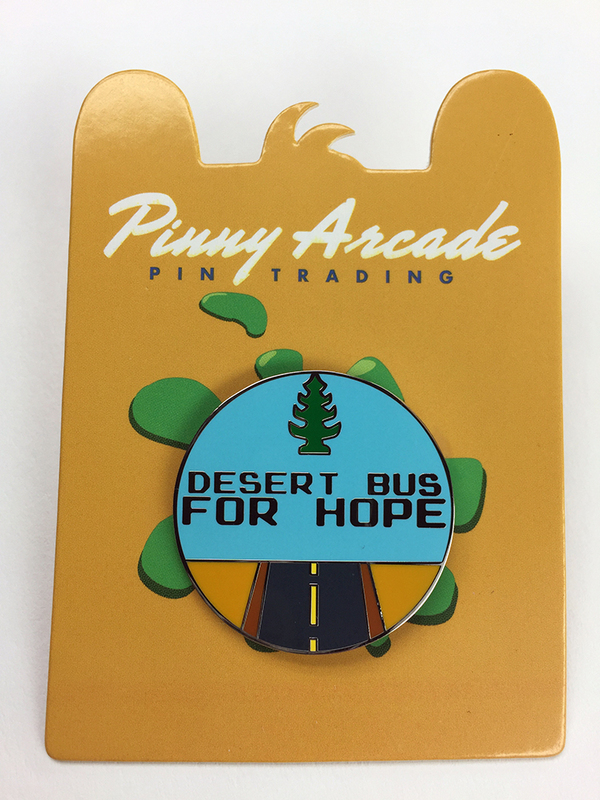 Many thanks to Penny Arcade for giving Desert Bus this exciting opportunity to join the Pinny Arcade family! Are you going to get any more t-shirts to sell? I tried to purchase one (of every style, actually) and they are all sold out already. My son always watches you every year and we feel like LRR is a part of our own family — especially after you all were so kind 4 years ago when our little Bella passed away after 12 days on this earth. Please let me know as I always buy Brian a shirt for Christmas!